ALOHA! Long to get away from the hustle and bustle? Are you ready to RELAX? Then welcome to Paradise! 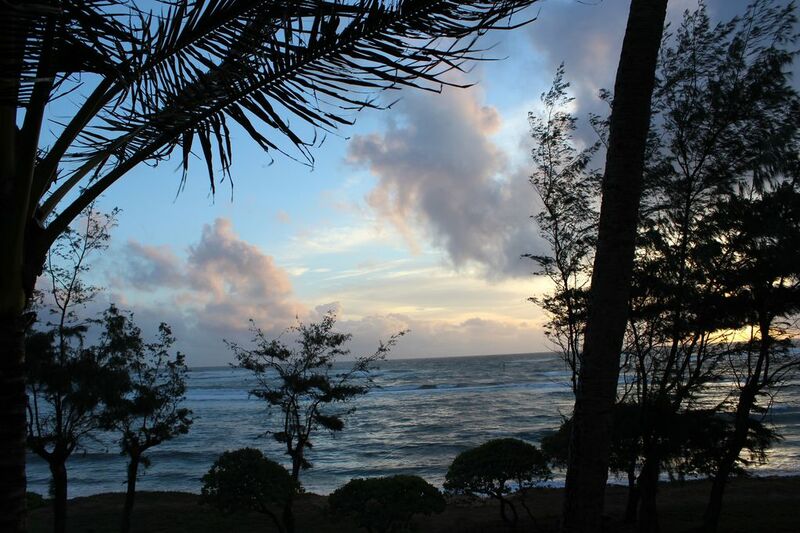 If you love Kauai like we do, you'll love staying in our beachfront condo in Kapaa. We're on the third (top) floor (with elevator) in a corner unit with unobstructed views north south and east. Gorgeous sunrises from our lanai (balcony) and views of the beautiful mile-long sandy beach, with its walking, jogging, bicycle trail. The Pono Kai Resort is located right in the quaint town of Kapaa. You are walking distance from many stores and restaurants, yet are shielded from road and traffic noise by fifteen acres and several other buildings in the complex. All you'll hear in our condo are the mesmerizing sounds of the ocean and the trade winds breezing through the palm trees. Barbara and I are retired nurse and engineer, respectively, enjoying our four grandchildren, who also enjoy our beachfront condo! Kapaa is centrally located with a 40 minute drive north to the end of the road, and another 40-minute drive to Poipu area or an hour's drive to the West end of the road at Polihale. Quiet, quiet, quiet. The sound of the surf and the trade winds rustling through the palm trees instantly soothes jangled nerves, and puts us in a state of wonderful relaxation. Our Lanai overlooks a walking/riding path with the beach 25 yards from the edge of our building. This is a hotel-type phone, connected to the Resort switchboard. Located in common area of building near elevator on ground floor. Coin operated. We're located on the top floor in an end unit with convenient elevator access approximately 60 ft (20 m) from our front door--all wheelchair accessible. Queen-size sofa bed, seats 4, arm chair, and swivel recliner-rocker, entertainment center and glass wall and sliding door to lanai facing the ocean. Blu-ray player in living room and DVD player in bedroom. "Lanai" overlooks a wide sandy beach, 2+ mile paved walking and riding trail.